On Saturday, March 7, ASTC on Air spoke with Violeta Anaya, a wildlife biologist working in Mexico who is also the first “FabFem” role model outside of the United States. Watch the recording below. FabFems are women in science, technology, engineering and mathematics (STEM) professions who provide inspiring role models for young women through STEM activities, speaker engagements, field trips, and more throughout the United States . . . and now in Mexico; the program is an initiative of the National Girls Collaborative Project. 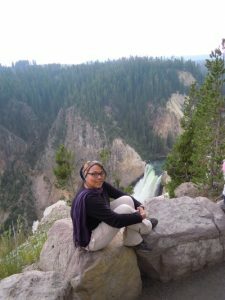 Anaya discussed her doctoral research on human-wildlife conflict, interest in using the arts to share scientific information, commitment to encouraging the next generation of women scientists, and more. The conversation took place at Universum, Museo de las Ciencias in Mexico City, with an audience of 200 young girls who had the chance to talk with her afterward. The event was scheduled in conjunction with the March 8 International Women’s Day, but also on a Saturday, so that the girls can participate.